These fabulous spring inspired cookies are just a taste of what you can bake to brighten your Easter table. Whether you want something to do with the kids or hone your cookie decorating skills, there is recipe for all skill levels. Bird's nest cookies are a popular Easter treat and this particular recipe takes them to the next level. 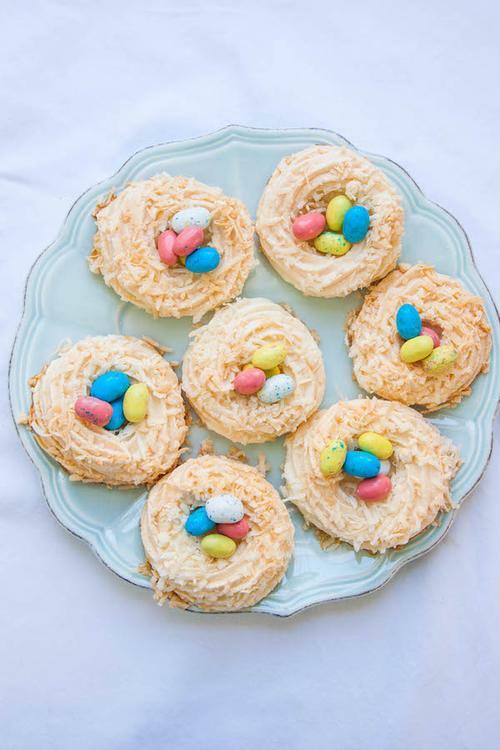 Light and airy meringue cookies are covered in toasted coconut and filled with chocolate eggs or jelly beans. This traditional Easter cookie will be a welcome addition to the dessert table. 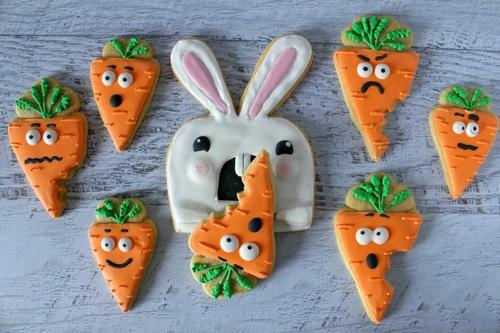 Killer bunny cookies are perfect for home bakers with a sense of humor. This silly portrayal of the Easter bunny devouring carrots are guaranteed to make the kids laugh. You will want to bake and decorate these cookies the night before to allow them plenty of time to set before putting them on the Easter table. These Easter bunny cookies are an easy project to do with the kids. This recipe utilizes store bought cookie dough and shapes it into bunny heads using a knife instead of a cookie cutter. Once baked and cooled, you can decorate them with frosting, candy, and colorful sprinkles. Double decker Easter cookies from are absolutely stunning. These cookies are a two day process. The first day is devoted to making the cookies and doing the initial decorating. On the second day, you'll add the finishing touches such as dipping the bunny cookies in sanding sugar and painting on their faces. 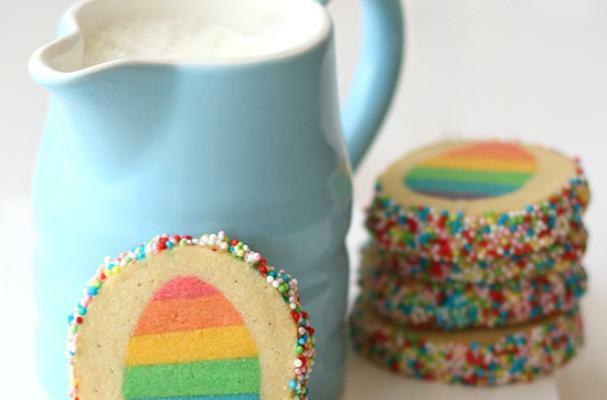 Easter rainbow surprise cookies are a work of culinary artistry. Not only are these cookies adorable but they are tasty too. The recipe calls for good quality, whole ingredients which really make a difference in the final product. You can see and taste the tiny black specks of vanilla throughout the cookie.